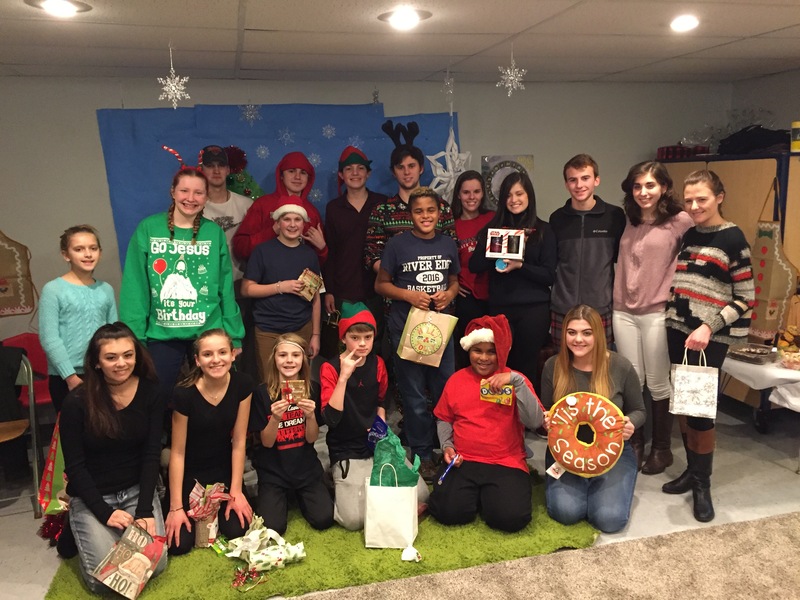 Youth group is fun, social fellowship for youth in grades 7-12. Social events are planned once or twice a month with an occasional service project or outreach opportunity thrown in. Pre-K through 12th Grade classes are held Sunday mornings at 9:45 am in The Zone! -- the downstairs education wing just for children and youth. Sunday School for children in Pre-K – 9th Grade introduces children to our faith and worship through storytelling, song, prayer, craft projects and other active learning experiences. 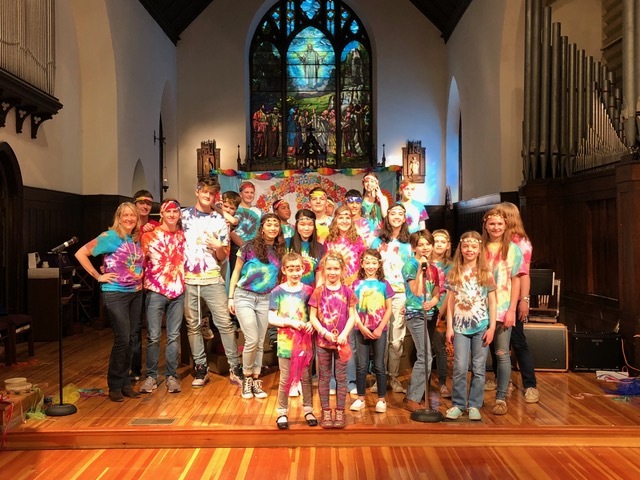 As part of their education in what it means to be Christian, teenagers in the confirmation class participate in monthly projects to learn about the broader needs of our community, from serving the poor to helping the environment. J2A (Journey to Adulthood) is the equivalent of Sunday school for high school aged students, grades 9-12 and runs in parallel, with the other Sunday school classes at 10am on the second Sunday of each month. J2A stands for Journey to Adulthood and is our young adult Christian formation. J2A participate and lead outreach opportunities, service projects and Youth Sundays. 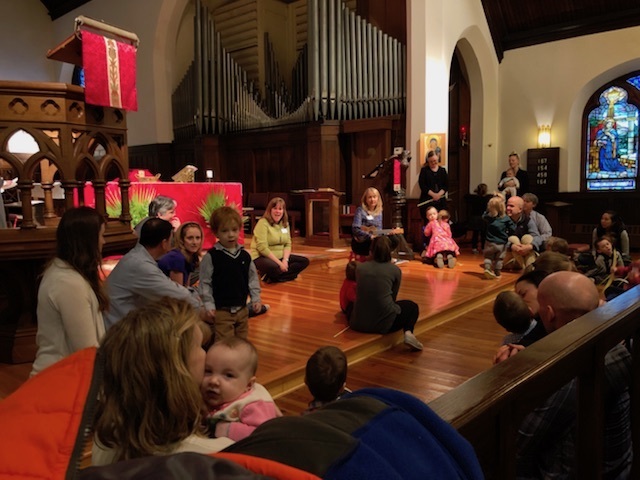 YOUNG CHILDREN AND FAMILIES are always invited and welcome to join us for worship. We offer a special service for young families, titled JOY! from 9:15-9:45. Or, bring the kids to worship at our 10:00 service! A carpeted area with stuffed toys and coloring books can be found between the last two seats (pews) to help you feel more at home here. We also have Worship Bags for younger worshippers at the entrances to the church. Nursery Care (infant--age 3) professionally staffed, is available from 9:30am--11:30am. 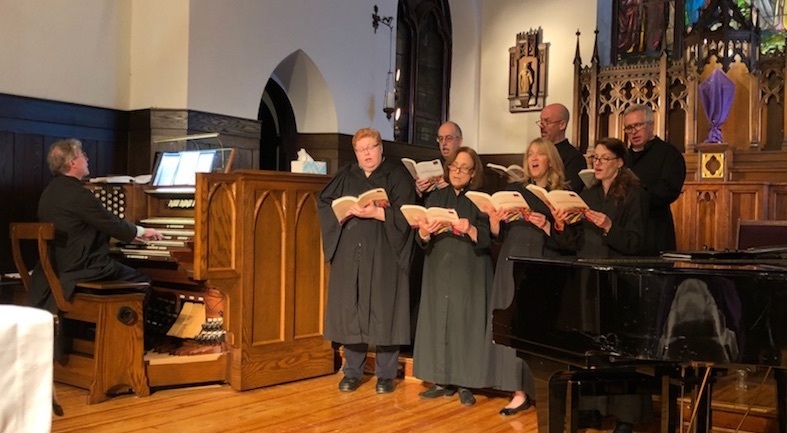 Our Adult Choir is a volunteer group who meet on Sunday from September through June at 8:30AM for rehearsal and lead worship on Sundays. Adults and youth (high school age and up) are welcome to join and share the joy of music and fellowship. Opportunities are available to perform solo arrangements. Past performances have included Joseph and the Amazing Technicolor Dreamcoat, Children of Eden, Jesus Christ Superstar, The Sound Of Music, and in 2018, Godspell. 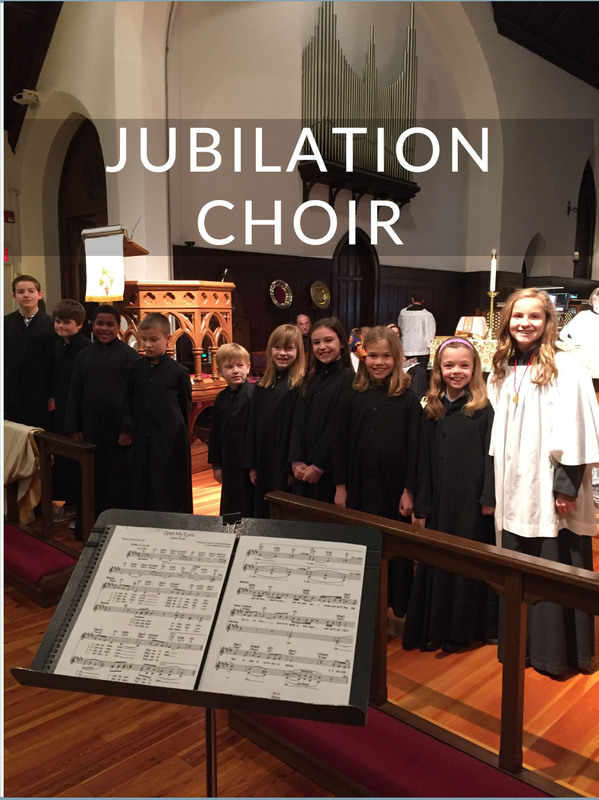 These performances fill the nave and bring our parish community – plus performers' friends and relatives together. Rehearsals begin in January with a performance in early March. 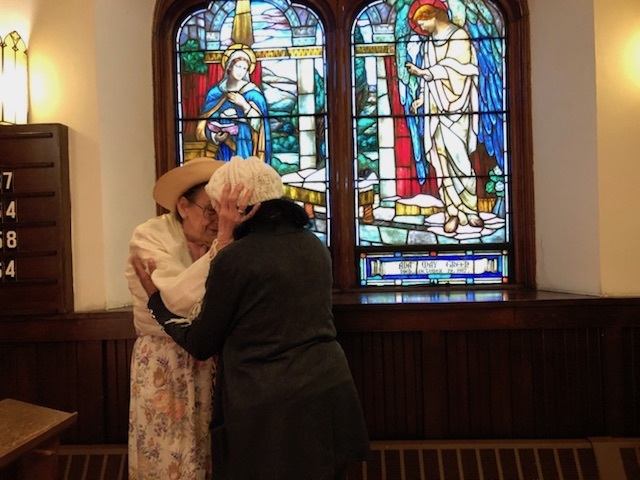 A shared ministry of the clergy and the laity, Pastoral Care acts as a gentle reminder of God’s compassion as we “seek and serve Christ in all persons.” They do this through cards, calls, and e-mails; a prayer chain, prayer services at nursing homes, visits to the ill and/or housebound, providing transportation and help with post-funeral receptions. 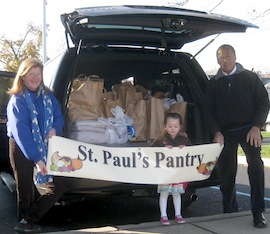 Our parish hosts temporarily homeless families through Family Promise of Bergen County twice a year. Volunteers are needed to cook dinner, shop for breakfast and lunch items, and serve as evening hosts and overnight hosts. Additionally, one Saturday a month, Christ Church provides the staffing at Family Promise Family Center in Ridgewood. This “Ministry of Presence” makes it possible for homeless families to have a space to spend the afternoon when they need it. 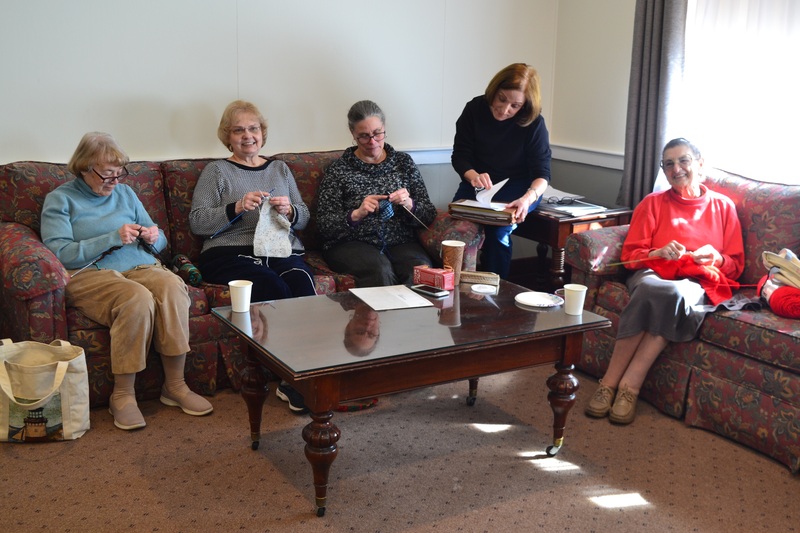 Most knitting done by “The Needlers” is to benefit the Seaman’s Church Institute’s Christmas at Sea Program. Yarn is provided by the Women’s Guild of Christ Church and by anonymous do- nors. We also welcome crocheters, needlepointers and other craftspeople. Every food item placed in our food collection barrels fills the shelves in the St. Paul’s Food Pantry and finds its way to the home of a family that is trying to get back on its feet. The Pantry is always in need of staples, including pastas, rice, and cereals. Monetary donations are also accepted. On the second Monday of each month, Christ Church provides a meal for up to 40 homeless men at St. Paul’s Mens’ Shelter. 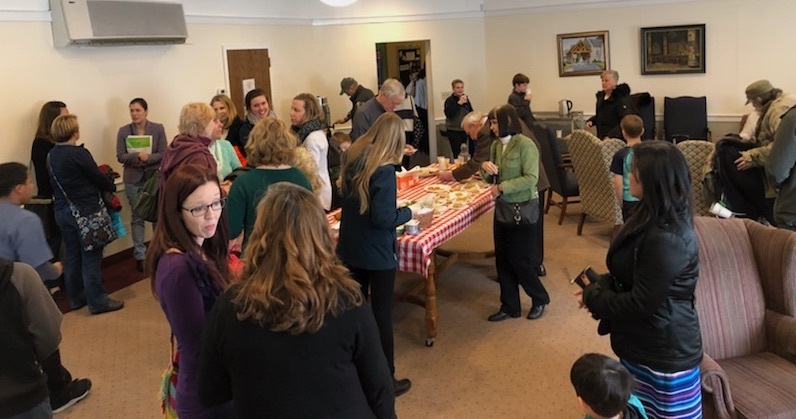 Families, church committees, and ad hoc groups come together in the church kitchen to prepare the meal in advance; others reheat or deliver and serve the meals. This ministry presents content-driven programs that provide adults opportunities for spiritual growth and insights. Some examples include Adult Forums, Bible Study and Lenten programs. This spiritual reflection group is open to all women, visitors, friends and parishioners. It meets on the 2nd Saturday of the month from 9:30-11:30 AM in the Guilds Room. Childcare is provided in the nursery. Come share in guided meditation, reflection, discussion, and creative response. 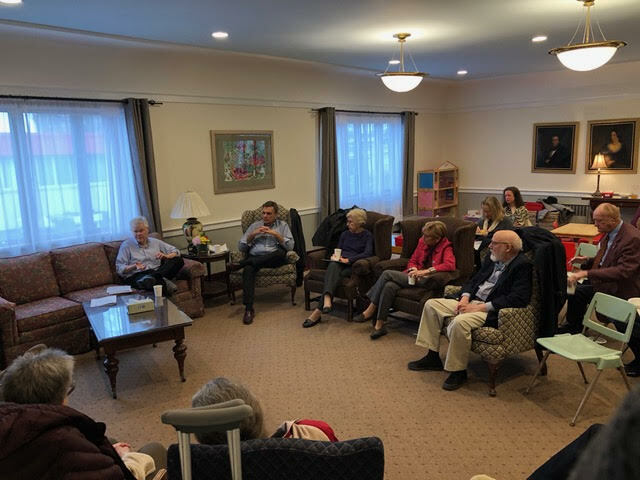 The Parish Life and Fellowship Team plans social events that welcome everyone to be a part of the Christ Episcopal Church community. Participating in these events is a great opportunity to meet new people and to get better acquainted with the people you already know. They invite all who would like to help with the planning, cooking and set-up of our events to participate. New ideas are always welcome! Open position! Looking for a fun-loving, social, & creative individual to take charge of the Parish Life & Fellowship Ministry. The Women’s Guild (The Juliets) meet at Kurth Cottage every 2nd and 4th Sunday. 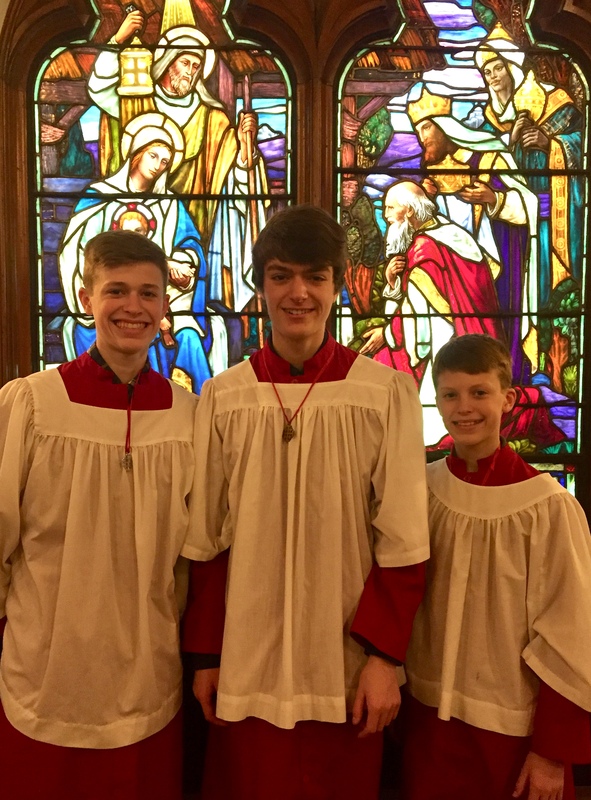 This service and fellowship group is involved in many aspects of the life of Christ Episcopal Church, including the Christ Church Memorial Scholarship Fund. They also volunteer at the Community Thrift Shop in Midland Park. The Church receives 30% of the proceeds for donations labeled with our number (#1). This money goes directly to the scholarship fund. The Men’s Fellowship group provides a monthly opportunity for men to meet and exchange ideas about political, cultural or spiritual issues of today’s world. 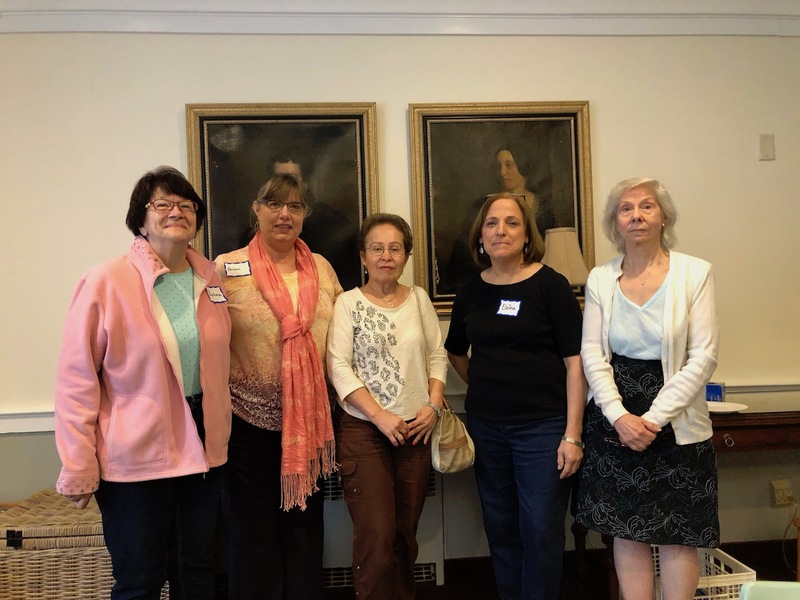 The Christ Episcopal Church Travel group is for those who enjoy international adventures. The 2017 trip traveled to Bavaria. 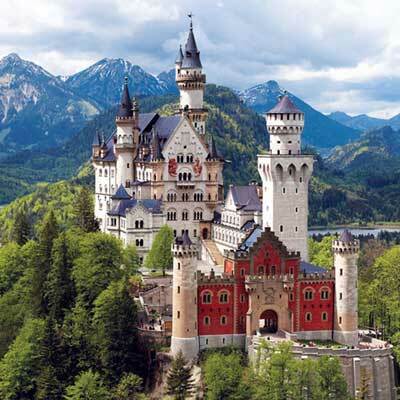 Past trips went to Tuscany, Sicily, Ireland, Canada, and The Danube River.